Birdies, originally uploaded by kylie lambert (Le Cupcake). 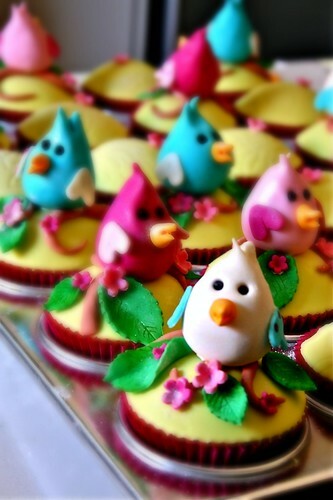 Edible bird style figurines on white chocolate mudcupcakes.......with matching embossed cupcakes. These are adorable and so colorful! These birdies are so cute. Love your stuff by the way.